Nissan's vice-president of comms has a fiendishly complex task on his hands. His job is to present a coherent global brand expression for the car giant at a time of rapid technological and social change, all overshadowed by the threat of global warming. He tells Alex Benady how he does it. It is the woozy after-lunch slot at PRWeek’s PR360 summit and we are deep in the bowels of an impersonal conference hotel in central London. A few minutes into his talk about the future of PR, Jeff Kuhlman, vice-president of comms at Nissan, jolts the delegates out of their post-prandial torpor with the words: "Within 60 seconds of my introduction, some of you settled in with a telltale dip of the head illuminated by a certain dim light. The iPhones had come out." "I don’t blame you," he continues. "But some of you then moved on altogether to send an email or a text; some may even be doing a little shopping." Most of the audience had paid hundreds of pounds to be there. Some had flown thousands of miles. It was a subject close to their hearts and their pockets. And still they could not maintain attention for more than a minute. That was exactly Kuhlman’s point. If even highly motivated professionals cannot sustain their focus on something they want to learn about, imagine then the problems facing brands communicating with busy, indifferent consumers. "The average attention span is getting shorter. It’s counted in seconds now. The optimal tweet is 70 to 90 characters before people stop reading. OK, fine. We have to deal with that," he says in the bar afterwards. But it turns out that attention deficit is not even the worst of the problems facing the communicator of the medium-term future. "It’s not so much that their attention spans are short as the fact that they are spending it on this," he says, pulling out his phone. He thinks the hardware is an even bigger problem: "They say a picture is worth a thousand words but [if you are marketing cars on a device like this] you can hardly make out the wheels." And it is only going to get smaller: "We are not designing for an Apple watch today but I had better be thinking about it." To further complicate matters every market, every nation and every culture is on its own development path favouring different technologies, platforms and channels: "In the UK and US we are focused on mobile. But in India, newspapers are still growing. In China you can’t use Facebook. You can’t come in with a box solution. You have to have a bespoke solution because it’s different everywhere." Welcome to the fiendishly complex world of the global comms director, who has to make himself heard in different markets, often using platforms and channels he only became aware of yesterday, to people who are often too busy and too distracted to give a damn. Although he only has one upwards report to Nissan CEO Carlos Ghosn, he runs a function of 230 people and has no fewer than 13 people reporting directly to him. These include six regional heads of comms around the world, the two comms heads of Infiniti and Datsun (also part of the Nissan empire), plus the chiefs of product communication, internal communication, CSR, Nissan’s digital laboratory and corporate comms. But for the moment Kuhlman is concerned with what one might call meta matters. The development of social media has been so fast that we are in completely uncharted territory, he seems to suggest. It is having as disruptive an effect on corporate management as it is on consumers. In particular you have to give up the idea of management infallibility, that as a senior manager you always have to know what you are doing. You can no longer only act if you know the outcome, he says. Sometimes you have to experiment and hope for the best. But that means being prepared to fail, humiliatingly at times. So, despite heading comms for a company employing 143,000 people across the world with sales exceeding £55bn a year, Kuhlman is surprisingly relaxed about telling the story of a recent professional embarrassment he suffered at the hands of social media. Nissan wanted to be more open and responsive to consumers, so Kuhlman persuaded his CEO Ghosn to do a live Q&A on social media bulletin board site reddit. "We had never used it before and we sort of screwed up," he smiles. "The questions were coming in fast but Carlos doesn’t give three-word answers. He gives well thought-out ideas. So he’s trying to give full authentic answers but the technology wants something different." The speed of response was just too slow, leaving everyone distrustful and unhappy. "So I had a CEO frustrated by the pace and an audience frustrated by the pace who felt that we were cherry picking… It was one of the most depressing professional moments of my life." In hindsight what would he do differently? "Well, I’d have a room full of stenographers [to post the replies]," he jokes. More significantly, though, he says he would have better stage-managed the apparent spontaneity of the event: "I would have decided which questions to spend more time on. We would have come in with preset answers ready to be personalised. And I would plan some off-the-wall questions. 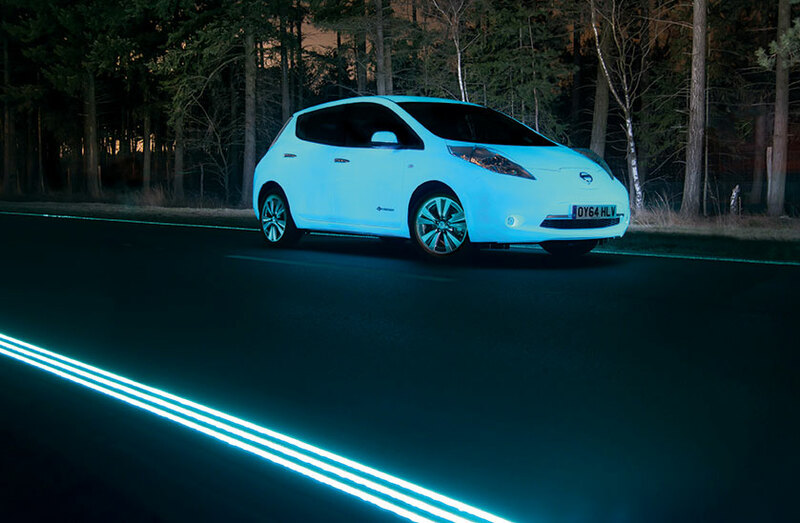 Let’s make you [Ghosn] human, the CEO who gets it, who understands the platform." His message is: do not be fooled by the apparent ‘authenticity’ of successful internet activity. "Oreo moments are far more planned than people know," he says in reference to the famous Super Bowl tweet from 2013. It is this willingness to experiment and even fail that is the key to success these days, he argues. But being in charge of comms for a global company does not mean that you can have people experimenting all over the place. One of his most important duties is to provide a coherent global expression of the Nissan brand. Spontaneity and coherence are scarcely natural bedfellows either. Reconciling the two in turn plugs into another one of Kuhlman’s greatest preoccupations – finding the right people and training them. "One of my key issues is leadership replacement. Specifically finding talent to fill key positions in the places where I need them. Most people either don’t have the right mindset or they won’t move to the places I need them." But having recruited the right people, they have to be saying and doing the right things. When Kuhlman took over as Nissan vice-president for comms in early 2012 its comms were not really functioning globally at all: "The regions were stronger than the core, which seemed to have a largely bureaucratic function because it wasn’t giving the regions anything they could use. "If you are launching a car in the US and you aren’t getting an adequate flow of information, it’s hard to do your job. So you set up processes to get information that are not global. Pretty soon the way you look in the US is not the same as in Japan, Europe or Asia." One of the many paradoxes of the digital revolution is that it may have given birth to a billion different voices but it also gives global managers an easy way of speaking to scattered troops with one voice. 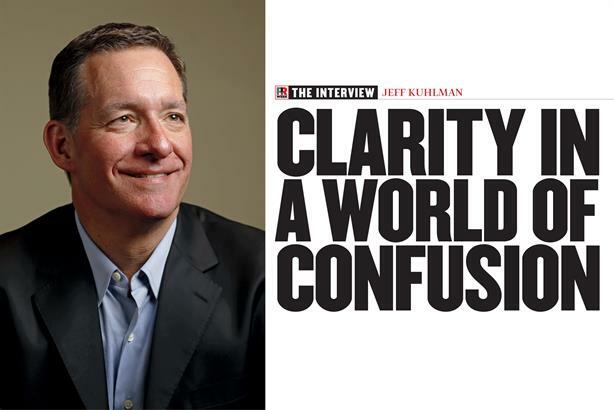 Kuhlman addressed his coherence problem by creating what he describes as "a framework" for his comms teams. It is a set of resources and guidelines on which national comms teams can draw: "In that way I am able to use my digital capability to support my team around the world." At head office, however, things were a little less clear-cut. When Kuhlman joined Nissan from Audi of America, where he had been chief comms officer since 2006, he had to relocate to Japan. The language difficulties were not quite as significant as he feared, although he confesses to still only having "taxi-level Japanese". Nissan is engaged in an alliance with French car maker Renault, but its official language is not Japanese, or even French – it is English. Problematically, some of his team do not speak English as well as they might, which means many meetings take double the time. Having come from the US, where PR is seen as a perfectly respectable profession, he was less prepared for the low standing of comms in Japanese corporate culture. Recent debacles at Sony and Toyota are good evidence of this, he says: "Communication was not seen as a profession in Japan until very recently. Japanese companies have a generalist approach, rotating people through different functions every two years." As a result his department is full of people from HR and product planning with no particular communication skills and no particular affinity for the role. While he concedes there is an advantage from a broader world view, he clearly thinks the lack of craft skills weakens the division’s performance. His as-yet unfulfilled ambition is to rectify that: "I’d like the team to consist of 70 per cent comms professionals and the other 30 per cent new blood." However, all the problems of social media, of managing global messaging, of cultural assimilation, are as nothing compared with the existential threat to Nissan represented by global warming and limited global resources. In fact, the company has been doing quite nicely recently. Sales are up 11.5 per cent by value and seven per cent by volume since 2011 and the share price is near to its pre-crash peak. Kuhlman cites figures from Ernst &Young that estimate that the global middle class will quadruple in size from one billion to four billion over the next two decades. They will want an awful lot of new cars – another two billion vehicles according to Nissan. Given that the Earth appears to be already past the limits of sustainable resource use, how does he suppose that companies such as Nissan can survive? Up to this point, Kuhlman has been perhaps a little academic, a little ‘management theorist’ in his responses. Now he switches into full-blown global comms director mode. The first thing he does is reach for his company’s ‘higher purpose’. According to the Nissan website, the company vision is "the power comes from inside". Apparently it refers to engines and the strength of Nissan’s internal culture and it sounds like standard issue marketing guff. But Kuhlman explains that for him it also refers to a progressive approach to sustainability, and that Nissan is the world leader in electric car technology. "In 2010 we launched the world’s first commercially successful electric car," he says, and the company has since sold 170,000 Nissan Leafs. "Elon Musk recently got credit as a visionary for building a one-gigabyte battery factory. But we already had three." He says that it is not battery life but recharging infrastructure that is really holding back the electric car sector: "We are putting chargers all over the place – in grocery stores, airports and so on. "The issue isn’t profit but what are you committed to? Are you just putting products out there to make that profit or are you putting out products that will change the world? We think the future is electric, we think mobility can be sustainable if we get power from clean sources. And rather than harvesting new resources we can renew old ones." It looks like Kuhlman has a great story to tell in the coming years. If only he could persuade people to listen long enough to hear it.